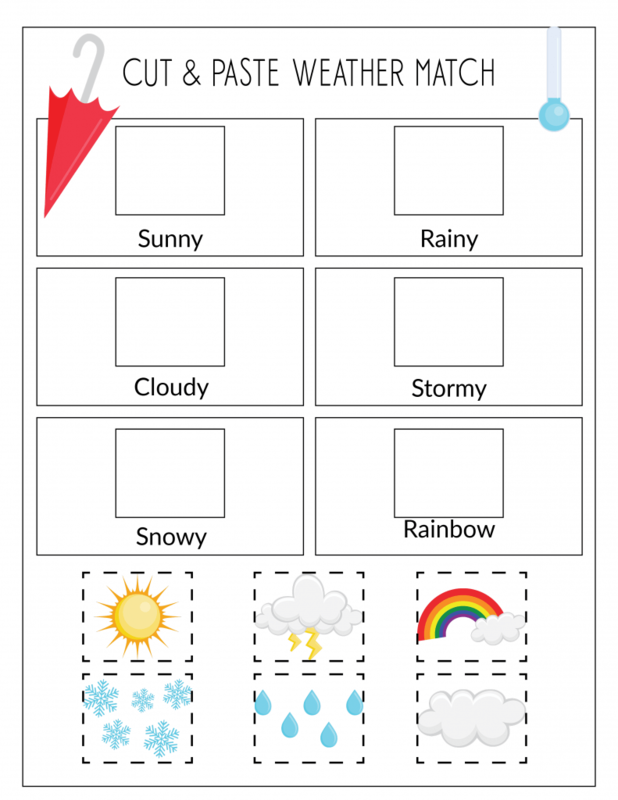 This free Learn About Weather printable pack is great for preschool through 3rd grade (ish). Included is a Record the Weather chart, Cut & Paste Weather Match worksheet, and a Weather related Handwriting Practice Writing sheet. You can use this in your teacher classroom or homeschool! As a scientist I absolutely love teaching kids about weather (and pretty much anything outdoors) because it gives me a great excuse to get outdoors and see kids faces light up as they explore the world around them! There are SO many variables when it comes to weather – it’s not nearly as simple as it looks! 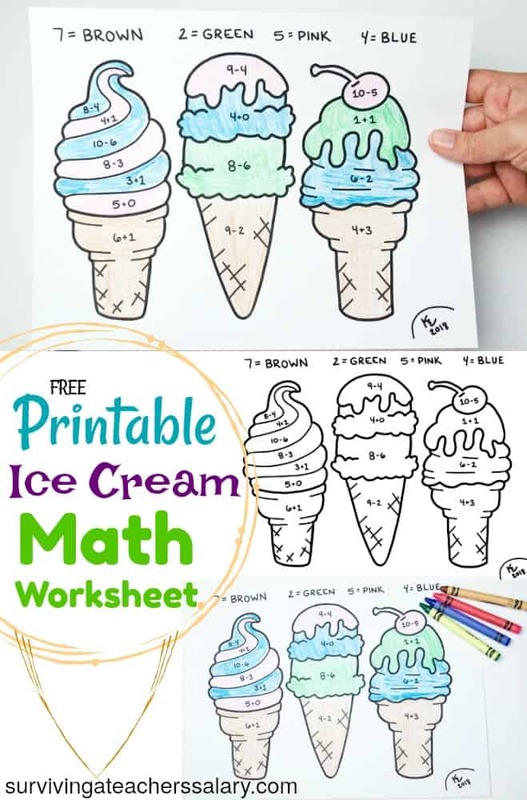 These 3 free printable weather worksheets are great for engaging kids to move and do! 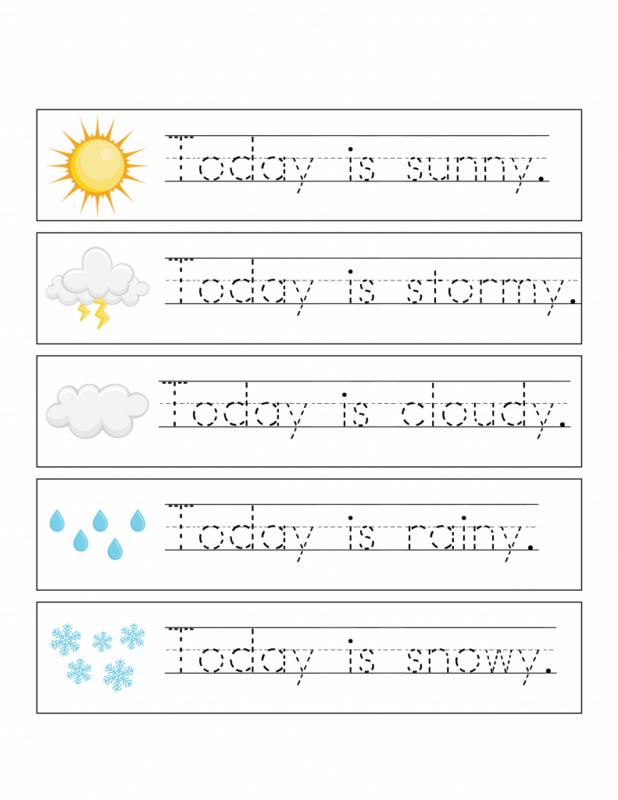 This weather themed handwriting practice worksheet makes fine motor skill practice fun! Plus it reinforces weather types. TIP: Cut them each sentence into strips, laminate them , and hand them out for practice each morning. Fine motor skills are something kids almost always need help strengthening and this Cut & Paste Weather Matching game is perfect for weather related fine motor skills practice and reading skills! 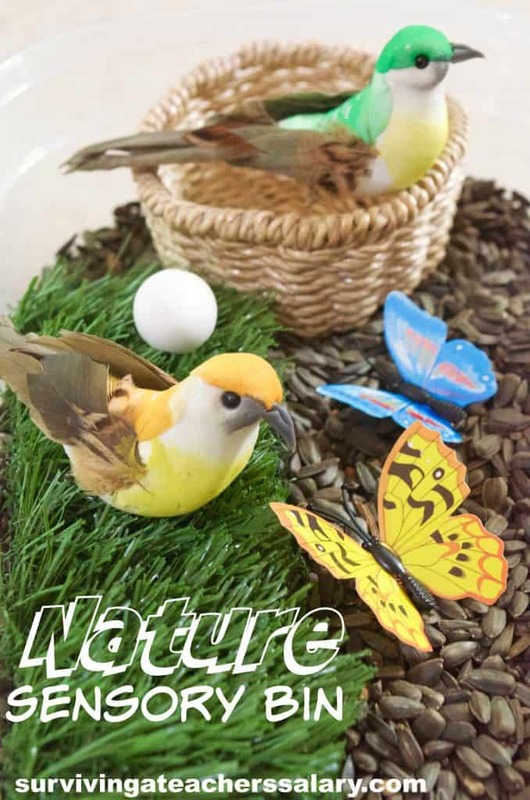 Thank you for sharing such interesting printables, I believe that such activities help children to develop creative thinking, and it’s really great. I think it’s very interesting for children, and it’s really cool when a child becomes interested in writing, drawing or reading. This is really important, and if your child learns it at an early age, then the school for the child will be very interesting. My sister has a little son and I think this article will be very useful for her. I hope you continue to share this great type of content.